Cueball's lack of comment makes me . BlitzGirl wrote: Hey, I suspect I saw some fountain grass the other day. Can I call Australia, too? Oh, excellent. Which one of us gets to report the fountain grass that we are currently seeing in the newpix? I have no decree since I'm not a fan of PagePapacies. Last edited by BlitzGirl on Fri Jun 14, 2013 10:28 am UTC, edited 1 time in total. Uncoma'd and keught up. Thank Randall Pokey is OK.
51 frames, that's certainly the longest Molpymation so far, and one of the longest post-fade scenes. So, this was the second-longest ‘scene’ so far, after the discovery of the Other River (55 frames, or 52 if you're strict, and only count contiguous frames with a static background). Last edited by mscha on Fri Jun 14, 2013 10:22 am UTC, edited 1 time in total. Interesting to know, dreiarmumig, that German also uses the article. Does that happen with other country names in German? Maybe that's where we got it from. I always wondered why it became "the Ukraine." charlie, you seem to suggest that it's something that the USSR started. "The Unites States of America"? I don't think I've ever heard it called just "United States" or "US" or "USA"... it's always "The US" etc. It's not very common in German. Only a few exceptions like Die Niederlande, die Mongolei, der Libanon or der Tschad. Oh, and die USA of course. So if you see "Die USA" printed anywhere, don't jump to the conclusion you're dealing with terrorists. Could be Germans too. Flotter wrote: According to the BBC, it's mainly a historical thing. "The Ukraine" might be short for "The Ukrainian Soviet Socialist Republic", but that doesn't exist anymore and the official name of the country is now just "Ukraine". It's "The Netherlands", too, isn't it? Yes, although none here will look funny at you if you call it Nederland, for that's what we call it ourselves. For most other countries, we use articles in pretty much the same cases as English and German, for instance, do. Last edited by mscha on Fri Jun 14, 2013 10:48 am UTC, edited 1 time in total. As a resident of the Dillenburg area I hope everyone of you has finished their pilgrimage to the Wilhelmsturm already. Vytron wrote: Meanwhile, I bring you all OTC smilies of Cuegan and Megball! I always wondered about the use of articles before country names in German, too, and your questions finally made me look it up. It seems (according to this article (in German)) that countries which have a neutral grammatical gender ("das") are referred to without an article (e.g., "Frankreich ist schön." = "France is nice."). Countries which have a feminine grammatical gender ("die"), masculine grammatical gender ("der"), or are plural forms, are referred to with an article (e.g., "Die Schweiz ist schön." = "Switzerland is nice", "Der Jemen ist schön." = "(The) Yemen is nice", "Die Philippinen sind schön." = "The Philippines are nice."). It's interesting to note that, when comparing this rule with the examples given in the article Flotter linked to, most countries appear on both lists. Edit: Oh, and do you really say "the Argentine" (like it's mentioned in the BBC article)? I would have simply said "Argentina". BlitzGirl wrote: Oh, excellent. Which one of us gets to report the fountain grass that we are currently seeing in the newpix? Let's see if we get confirmation via dialogue first. Wouldn't want to call out the squad on a false alarm. Thank you for that awesome Pokeymation mscha! If this little creature didn't have far too many names already, I'd be tempted to suggest 'molpybean' for the cute kidney-bean shape it makes when rolling down towards Cuegan. I think that is just a little leftover madness. Posts come out right, but a few things will change in the preview window. jmiezitis wrote: Not really a lurker have been following Time since its inception (makes me feel old) check into the forum every now and again so obviously don't get the lingo quite right. It's ok, we always have several versions of the lingo lying around, just pick up what you want. Not just the preview window, also the post. For instance, “tricks” becomes “trickses” when quoted, and that will end up in the posted version, if you don't fix it by hand. Mod madness is only once a year. Some word filters stay all year around though. Huh, you're right - they're only working for the previews. How odd. Angua wrote: Mod madness is only once a year. Some word filters stay all year around though. I believe this is because you are posting on the OTT. This is the only thread I know that was spared by the Mods in the Madness, so that the filters only applied to quotes and previews and not to the original posts. And with that, I'm off to go C.O.M.A. Last edited by BlitzGirl on Fri Jun 14, 2013 11:25 am UTC, edited 1 time in total. Perhaps we should publish the stories written here on FanFiction or some similar website. 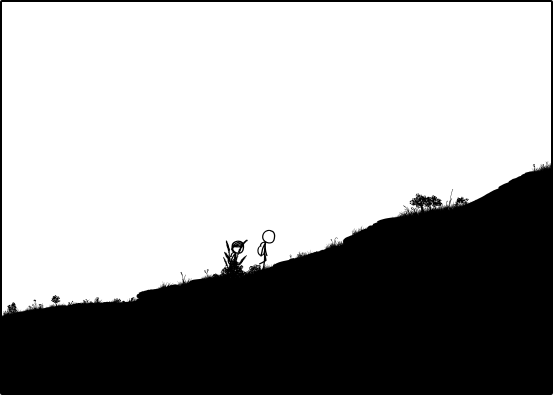 akacat wrote: The Archive of Our Own (aka A03) is already expecting you: http://archiveofourown.org/tags/xkcd/works. Whoa. You mean this has happened before? People have charted and storied and written new songs of their people, and it's happened enough that there's an organized archive of it? And said quote was picked up by the STO faction (BSG and its backstory for the innocents out there). Who'd have thought that they actually meant The OneTrueThread? Which means... we're all actually in the distant past, hundreds of light-years away from Earth! Lifting it up, it appears. Because obviously Cueball is looking for trouble. He wants to raise cane*. In regards to the whole discussion of Ukraine, I was always under the impression that, in regards to English, it is simply a result of how we use articles. For instance, I would not say, "I live in mid-lands", but instead would say, "I live in the mid-lands". So one would not say, "They live in borderlands", but instead would say, "They live in the borderlands", or, "They live in the Ukraine". Someone in Scotland may be a Highlander, but we do not say "They live in Highlands". We say, "They live in the Highlands." Same with low lands: "They live in the low lands", or, "They live in the Netherlands". I assume that the use of articles in dutch are different. So my question is, in Dutch, would an article be used to say something like, "I am at the courthouse"? Or would it be a more literal translation such as "I am at courthouse"? I think it is more confusing when people incorrectly capitalize the article "The". In any case, perhaps I am late to the game and this has been said before. Has anyone yet posted links to here or here yet? If links for these articles have been posted, my apologies. But they do seem to clear things up quite nicely. Also, you can see that, since gaining independence, the Ukraine is no longer the Ukraine, as in a geographic are, but an independent entity, and so therefore is now Ukraine. A lotta ya'll sayin' stuff that would make a Southen'r *facepalm*. yappobiscuits wrote: Wake up, lil pokeymolp! And now I've got that song in my head. Eh? Did I just accidentally reference a song? Perhaps moody7277 is thinking of "Wake up little Susie". Because I did, as well. I can't believe nobody's filked this yet. It's been over 10 newpix! Wake up, little Molpy, wake up! You fell of your rock, and Cueball picked you up, you wished they'd disappear. or are you just abiding your time? I hope that you're all right, 'cause it would be a crime. there's still no movement, I guess you aren't keen. I hope you're all right. that Cueball did you no harm, though of his acts I don't approve. you were just abiding your time. You seem to be all right, so there was not a crime. Edit: a few small changes to the lyrics. Last edited by mscha on Fri Jun 14, 2013 11:55 am UTC, edited 4 times in total. tinosoph wrote: So if you see "Die USA" printed anywhere, don't jump to the conclusion you're dealing with terrorists. Could be Germans too. Wait, so all those alt. *.die.die.die groups were really just Germans obsessed with definite articles (or stuttering)? k.bookbinder wrote: In regards to the whole discussion of Ukraine, I was always under the impression that, in regards to English, it is simply a result of how we use articles. For instance, I would not say, "I live in mid-lands", but instead would say, "I live in the mid-lands". So one would not say, "They live in borderlands", but instead would say, "They live in the borderlands", or, "They live in the Ukraine". Someone in Scotland may be a Highlander, but we do not say "They live in Highlands". We say, "They live in the Highlands." Same with low lands: "They live in the low lands", or, "They live in the Netherlands". I assume that the use of articles in dutch are different. So my question is, in Dutch, would an article be used to say something like, "I am at the courthouse"? Or would it be a more literal translation such as "I am at courthouse"? I think it is more confusing when people incorrectly capitalize the article "The". In any case, perhaps I am late to the game and this has been said before. Just to throw a new question into the mix, is it "my uncle is in the hospital" or "my uncle is in hospital" ? I grew up with "the hospital" but have since encountered just "hospital" from various sources. I first thought it was an American/British thing, but I'm no longer convinced. I don't know of other places (such as the courthouse) where 'the' is optional. No one ever seems to go to store. (Though they might go to court, but it would be in the courthouse.) Curious. Definitely. Even the German intro of Sesame Street shows a certain obsession with that stuff. 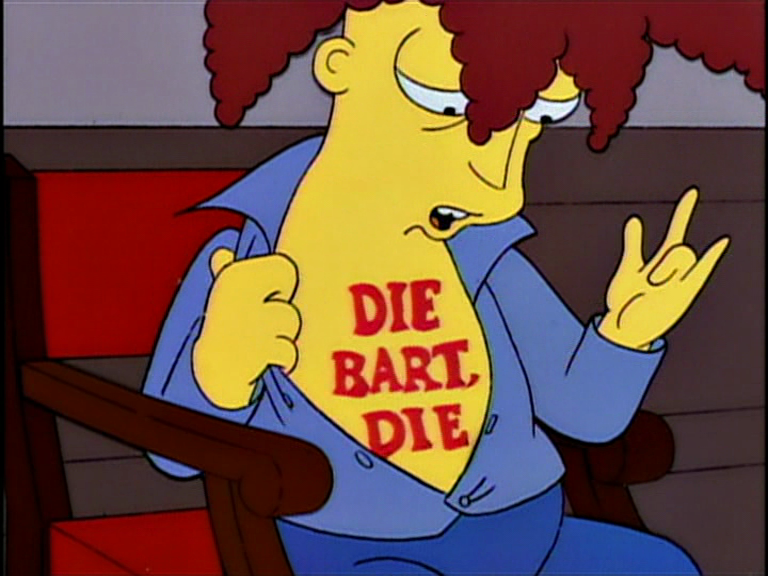 "Der, die, das. 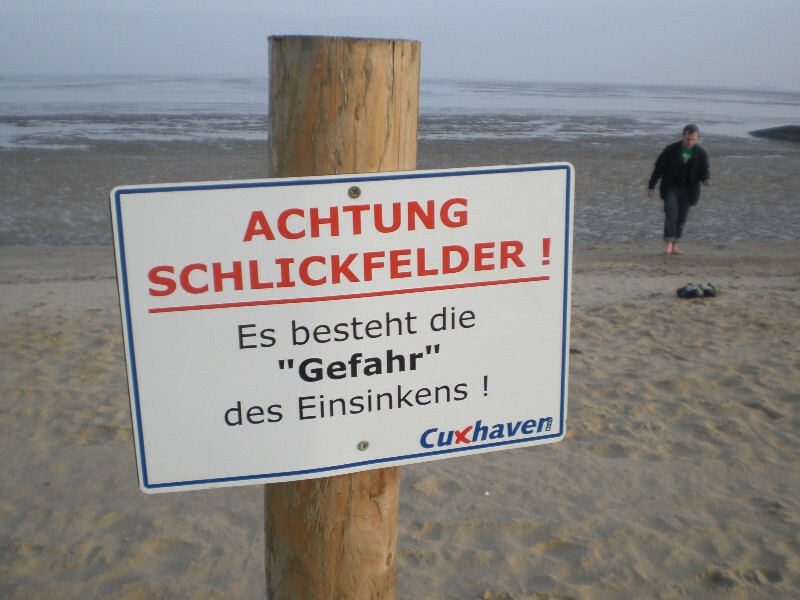 wer, wie, was. wieso, weshalb, warum. wer nicht fragt bleibt dumm" - "the, the, the. who, how, what. why, why, why. who doesn't ask, stays dumb"
Based on your examples, I'd say Dutch and German aren't that different. You say “Zwitserland” (instead of "die Schweiz"), which is comparable to "Deutschland" (grammatically). So both mean "Land of someone", and since it's "das Land" ("het land" in Dutch, I guess?) (i.e., neutral grammatical gender), it's skipped. Furthermore, when you say "Nederland", it's singular, so you don't need an article (according to German rules). When you say "die Niederlande" (= "the Netherlands") in German, it's plural, so with an article. Regarding Yemen, you find both versions ("Jemen", "der Jemen") in German, as for other countries with masculine gender ("Iran"/"der Iran", "Irak"/"der Irak", etc. ), but the use of the article in these cases is still more common (I'd say). sign wrote: CAUTION SLIT FIELDS ! There is a "danger" of sinking in ! Last edited by dreiarmumig on Fri Jun 14, 2013 12:18 pm UTC, edited 2 times in total. I was always under the impression that, in regards to English, it is simply a result of how we use articles. For instance, I would not say, "I live in mid-lands", but instead would say, "I live in the mid-lands". So one would not say, "They live in borderlands", but instead would say, "They live in the borderlands", or, "They live in the Ukraine". Someone in Scotland may be a Highlander, but we do not say "They live in Highlands". We say, "They live in the Highlands." Same with low lands: "They live in the low lands", or, "They live in the Netherlands". I assume that the use of articles in dutch are different. So my question is, in Dutch, would an article be used to say something like, "I am at the courthouse"? Or would it be a more literal translation such as "I am at courthouse"? I think it is more confusing when people incorrectly capitalize the article "The". In any case, perhaps I am late to the game and this has been said before. I think the "the hospital" versus "hospital" is a U.S. versus the-rest-of-the-English-speaking-world thing. To Americans, hospital is only a place, and not a state of being; "I'm in the hospital", not "I'm in hospital". And yet, we would say that "Cuegan are in Time", and not "Cuegan are in the Time". k.bookbinder wrote: I think the "the hospital" versus "hospital" is a U.S. versus the-rest-of-the-English-speaking-world thing. To Americans, hospital is only a place, and not a state of being; "I'm in the hospital", not "I'm in hospital". And yet, we would say that "Cuegan are in Time", and not "Cuegan are in the Time". I thought that, but I hear 'in hospital' from U.S. folks too, so maybe it is just a regional quirk. Growing up in Ohio we also had tOSU, or the Ohio State University. Everyone around us hated it because we sounded so conceded, but being a Buckeye, I loved it because I thought we deserved it. ucim wrote: No, "y'all" is singular. The plural is "all y'all"
I think you mean ambiguous. Y'all refers to a select group which could be singular or plural e.g. "How y'all doin". All y'all is always plural and refers to a general group, or everyone within ear shot "All y'all listen up now". Edit: Of course there's also "yous guys" if you're in the vicinity of New Jersey. “Y'all” grates on my nerves largely because it's used incorrectly so often. If the phrase “you all” can be properly substituted, then “y'all” is a correct dialect-specific second-person plural. On the other hand, American English really needs a second-person plural. “Y'all” is already entrenched in much of the country, but I've been waging a campaign for the use of “youse” for a few years now. Will there ever be a post I don't want to edit? Don't know if anyone's remembered to say it yet, so: goodnight, Mrs. MobTeeseBoose! I do the same thing to my wife, only I say "cray-cray" or pronounce words wrong on purpose. It drives her nuts, but I have to be careful because I've actually gotten so hooked on a couple prounounciations I'm stuck with them now. It might be a sign of migration. A lot of Canadians in South Florida will say "in hospital". I have to say, and please, take no offense, but while studying and living in Ohio, I became an ardent supporter of the anti-"the OSU". To me, it was not that it sounded conceited or anything, it just sounded...um...well...stupid. I did not mind so much if people said "the Ohio State University", but when they would say "the OSU", no. It just sounded dumb. I am very sorry TimeLurker, again, this is nothing against you, but I have also heard some OSU fans in Columbus actually say things like "I watched the The Ohio State game". Really? Last edited by k.bookbinder on Fri Jun 14, 2013 2:00 pm UTC, edited 1 time in total. TimeLurker wrote: I do the same thing to my wife, only I say "cray-cray" or pronounce words wrong on purpose. It drives her nuts, but I have to be careful because I've actually gotten so hooked on a couple prounounciations I'm stuck with them now. conceded To acknowledge, often reluctantly, as being true, just, or proper; admit. conceited Having an excessively favorable opinion of one's abilities, appearance, etc. k.bookbinder wrote: It might be a sign of migration. A lot of Canadians in South Florida will say "in hospital". It isn't just that people migrate. Language does too. It's a small world. Someone who normally says "in the hospital" hears/reads "in hospital", likes it, picks it up. Others hear it and repeat it. It spreads. I sometimes say math and sometimes say maths, etc. lmjb1964 wrote: "The Stillers play dahntahn, about a mall from me. I'm going to the Gian Iggle in E Sliberty to buy some gum bands 'n'at." Maybe not enough to make me want to move to Pittsburgh, but for a visit - Yes. But just maybe it is "I'm gwan t'da Gian Iggle..."
Last edited by charlie_grumbles on Fri Jun 14, 2013 1:13 pm UTC, edited 2 times in total. Oh, and let me add die Schweiz, der Vatikan, der Iran, der Irak, die Vereinigten Arabischen Emirate, die Ukraine (as has been mentioned before), die Slowakei und der Kongo. I am sure there may be some more. k.bookbinder, no offense take, I know that it irritates people and that's part of why I liked it. That being said, I only condone "the Ohio State University" and would never say "the OSU". That does sound dumb. Splitting hairs, sure, but that's how I feel. SBN, thank you for catching my mistake. Words are hard and I don't feel like spell checking everything. I laughed myself after seeing that my mistake was in a sentence proclaiming our superiority. Also, on the OTC. I think Megan bopped the beesnake. It's the first violent act against nature! Megan! What did that plant ever do to you? Anyway, given recent OTC events I thought I'd introduce y'all (dammit, y'all got me using it now) to my lil echidnamolpy buddy, Arnold! He's having a nice wee read o' the OTT there. grammatical gender opens a whole 'nother can of worms, of course. i can't think from the top of my head of any good reason why some countries are male, others female or neutral. just like rivers, "die donau", but "der rhein", for example. kenmelken wrote: Also, a page or so ago, ucim totally quoted me something about a boneyard and I have no clue what he's talking about me having talked about. That was here. I fixed it - somehow something odd must have gotten pasted in, and my comapadtime was overdue so I missed it. TimeLurker wrote: Also, on the OTC. I think Megan bopped the beesnake. It's the first violent act against nature! Nah, the beesnake flew off downhill. Cueball pulled at the plant a bit and it sprang back; Megan is bopping it to see it spring back (or maybe to see the seedhead break up...?). (How DO you punctuate that previous sentence, anyway??? Hang on, the cake bites?! Why haven't we been warned of this before?!? How did I miss that post? Anyway, are you an user there? I think it was at the bottom of a page? Posts at the bottom of pages seem to get overlooked. Being a GOAT isn't all it's cracked up to be. Yes I'm on AO3, and under this name. (Well, my fic is under an older name, but it's linked to this name.) If you go looking for my fic, for the love of little green apples heed the ratings; I won't be held responsible for anyone's eyes bursting into flames. Most of my stuff is mediocre at best, but there are a couple things people seem to like. I'm personally quite fond of my "A Christmas Carol" fic. I'm lost in a sea of hilarity. And I found our rock molpy, only what he thought was a rock, wasn't. That is adorable. What is the passenger molpy -- a Capybara? tinosoph wrote: It's not very common in German. Only a few exceptions like Die Niederlande, die Mongolei, der Libanon or der Tschad. Oh, and die USA of course. So if you see "Die USA" printed anywhere, don't jump to the conclusion you're dealing with terrorists. Could be Germans too. That reminds me -- why do people refer to other countries by the wrong name? Like Germany, the name is really Deutschland, right? So why do English speaking people call it Germany? It's not like it's terribly difficult to pronounce Deutschland. Nobody refers to Bach as "John Brook", so why do we do this with country names? Well, it's still violent, no? mikro2nd wrote: "The Unites States of America"? I don't think I've ever heard it called just "United States" or "US" or "USA"... it's always "The US" etc. Hrm, we do still use 'the' before the country.. but most Americans don't use the whole thing. It's typically just "the united states" or "the US." The only exception is when there's chanting of some sort or another (sports, olympics, etc), in which case it's just "U.S.A."
I feel this way every time I watch a Dutch movie. Even though I can't speak the language... there are many times it just sounds like English to me. Loads of similar words. mscha wrote: I can't believe nobody's filked this yet. It's been over 10 newpix! That was so , mscha! Bravo.